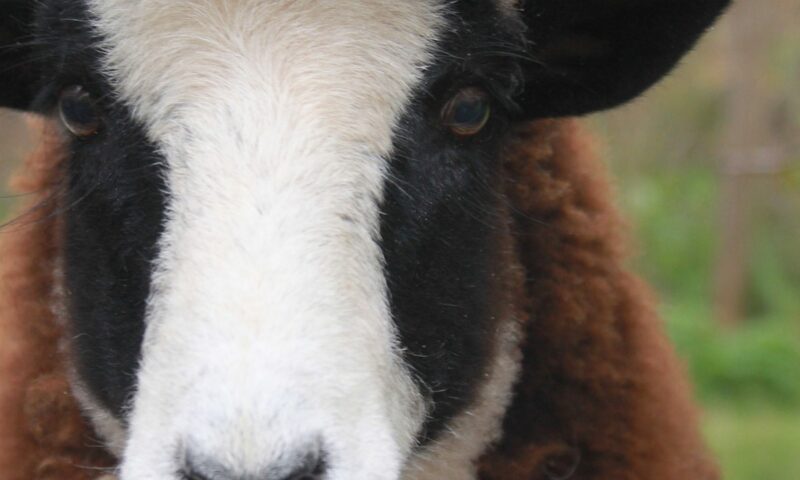 Jacob the ram is as sweet as they come. I can scratch his head and lead him around by his horns. He is also… a ram. It’s breeding season, and even a docile ram does not like being alone without some ewes to look after. I must find him a new home. Today I called and sent photos to Perfect Spot Farm in the mountains. This two year old boy is purebred, in excellent health, has been mostly grass-fed (but for winter when forage is thin) and would serve a farm much more than a freezer. Spread the word, this wonderful wool is great for hand spinning, with nice crimp and softness. Jacob, the Jacob, what will we find for you?